Must now include a prominent risk warning on all financial promotions. When people ask themselves “how do I get out of payday loans?” they’ll often think the answer is to pay one loan off with another. It’s not. This is an all too common problem that we see. We know being in payday loan debt can be scary. If the repayment date looms and you can’t afford to repay, we can help. Follow these five steps for help with payday loans you can’t afford to pay. Payday loans are often advertised as a way of funding an unexpected ‘one-off expense’, like a car MOT. But the reality is four in ten people take them to pay for essentials like food and petrol – putting food on the table and getting to work. A quarter of people take a payday loan to repay other credit. If you’re struggling with payday loan debt – don’t panic! You’re not alone. We can help you get out of debt without taking any more loans. The trap many people fall into is not being able to afford it in the first place, but feeling there’s no way out other than to take out another one…and another then another. A payday loan is a non-priority debt. That means it should only be paid from money you’ve got spare once you’ve paid priorities like rent, mortgage, household bills, food and living costs. If paying back the payday loan means you’ll be short of money to pay priorities you should stop the money being taken. When you applied for the loan you gave your card details to set up a continuous payment authority (CPA). This is how most payday loan company take the repayment. However it’s a direct link to your bank and the payday lender can take the money whenever they want. If there’s not enough money to cover the full repayment they can try again and again. Still unsure what to do? Read our article how to cancel a CPA on a payday loan. But come back here! There are still more steps to getting out of payday loans debt. One of the gripes people have over how payday lenders work is over their collection process. The truth is you cannot be made to repay more than you can afford. We can tell you how much that is and crucially we can help you prove that to the payday lender. The easiest way to do that is to use our Debt Remedy tool. It’s our way of giving free debt advice online, to anyone who needs it. It’s a money management and debt solution tool that works out your options based on your budget. It’s quick, easy to use and you don’t have to give your name. Sure. If you’d prefer you’re welcome to ring and speak to one of our debt advisors. You’ve stopped the cycle of borrowing and retaken control. With our expert debt advice and budgeting help via Debt Remedy or on the phone you can manage your outgoings within your income, without the need to take more credit. We can help you budget for priorities, clear any arrears, budget for future payments and then provide one of a range of debt solutions to manage your debt over the longer-term. 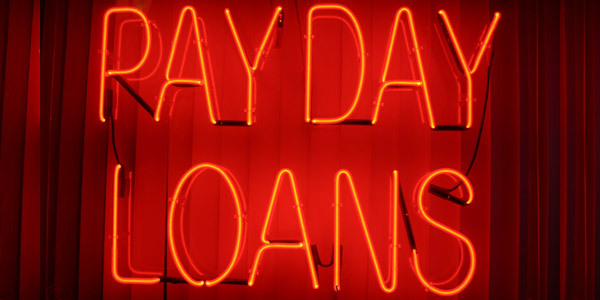 Very often people take payday loans because they’re desperate, but there’s a way out. By following the steps above and getting expert debt help from us you can live a life free from payday loan debt.